…That new book of yours… eh… Rock Testament… What is that book about? “What if compact discs came from ancient Jerusalem? What if the King of Rock n’ Roll wasn’t born in Memphis, but in Nazareth? That’s the world of Rock Testament, a smart tale of how human nature never changes, and ambition can get the better of all of us. Two books in one, Rock Testament includes the comic plus a travel sketchbook and notes from modern Jerusalem. Published by Editions Tchai, with story and artwork by Eugene Zhilinsky, text and editing by Kimberley Whitchurch. Co-creators Eugene Zhilinsky and Kimberley Whitchurch came to Toronto from different worlds. Eugene is a Russian-born graduate of the State Academy of Painting, Sculpture, and Architecture in Leningrad (now St. Petersburg), where he graduated in 1986 with a Masters in Art and Architecture. He has practised architecture in Russia, Israel, and now Toronto, where with his wife Tatyana Sasha Yuditskaya he also runs the creative group Editions Tchai. Their small-run press has published 12 titles in English, French, and Russian, including illustrated classic literature, graphic novels, and carnets de voyage. What else do we need to say? ISBN 978 – 0-9784952-7-5, English, 7.5″X11″, 52 pages. Full color cover with black & white interiors. 8.25″x 10.5″. 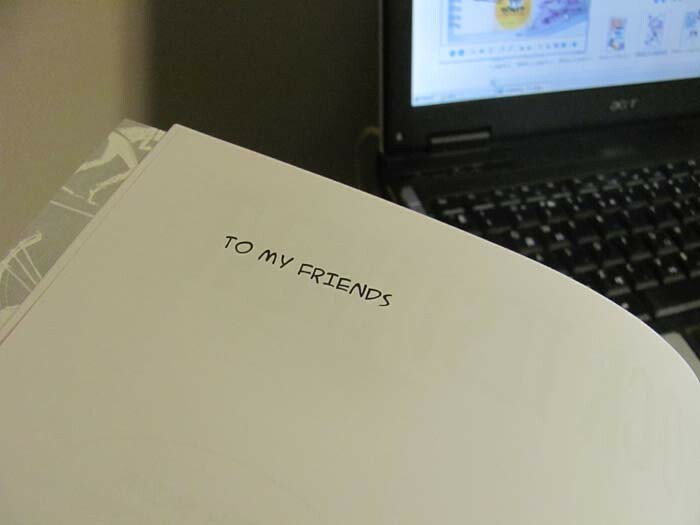 Perfect binding, lamination. Back cover contains information about the authors. Printed in Canada. Share a piece of the Megacity by sending one of our Toronto Postcards! 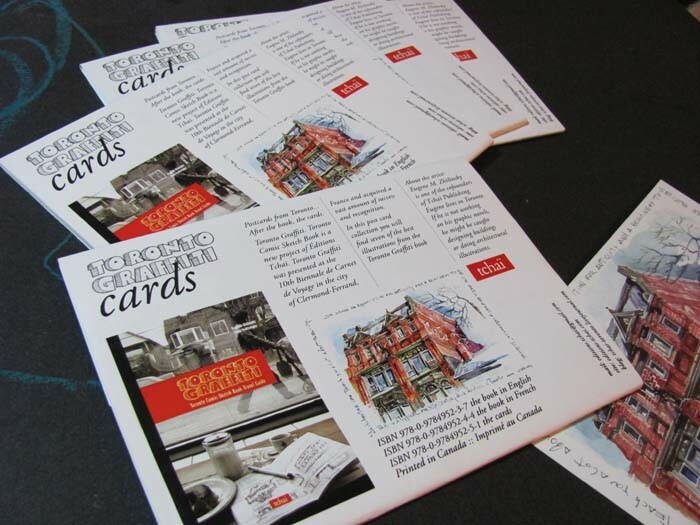 The set of 7 Toronto postcards – best illustrations from the Toronto Graffiti book – comes with its original envelope-cover on witch you will find information about the author and illustrated table of contents. Toronto Postcards would also look lovely framed. Project “Toronto Graffiti” – urban sketches art book and postcards – was presented at 9-th Biennale of Travelers Sketches in the City of Clermont-Ferrand, France. Éditions Tchaï was the only Canadian guest of honor at the Biennale. We going to reprint our book, Hungry Heart, modern day graphic novel English edition by Tatiana Yuditskaya, co-founder Tchai Publishing. Why? Well… it’s a moral cautionary tale turned psycho-thriller. Sounds good, eh? The story’s set in modern day Israel, Canada and the blogosphere, which is quite contemporary. It also has 2 alternative endings for the reader to choose from – just like in a smart movies. We did a very small run in 2008 and it was definitely not enough. The book absorbed into readers mass so fast that no one mentioned it. It was also handmade book – we were very much into it at the time – and it means expensive. Reprint will be more affordable. We’d like to get a bit bigger attention and feedback this time. Editions Tchai, ISBN 0-9780581-7-3, English edition, 48 pages, 8″X11″, hand perfect binding, no lamination. Back cover contains information about the author. OK, here you’ll have a first glance at our new book – Rock Testament. Some copies might be yours so you’ll see the rest of Eugene’s Art and read the beautifully combined wording of Kimberley. 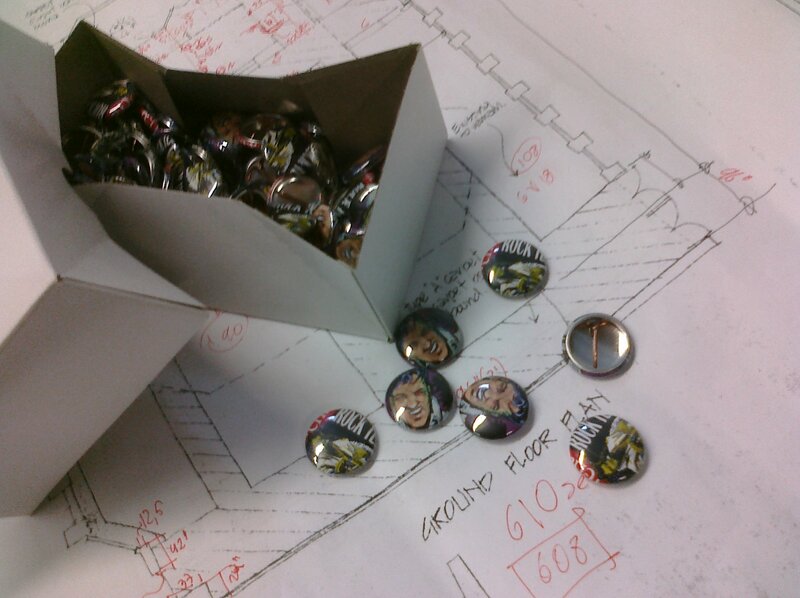 We also have 1″ buttons. They are really cool! We may give away buttons with the book purchased from here:http://www.etsy.com/listing/73191196/rock-testament-smart-philosophic-tale and to whom who like our page Editions Tchai. But hurry! Our good wills are limited and so the goods. By publishing our new book we decided to set up a new blog. 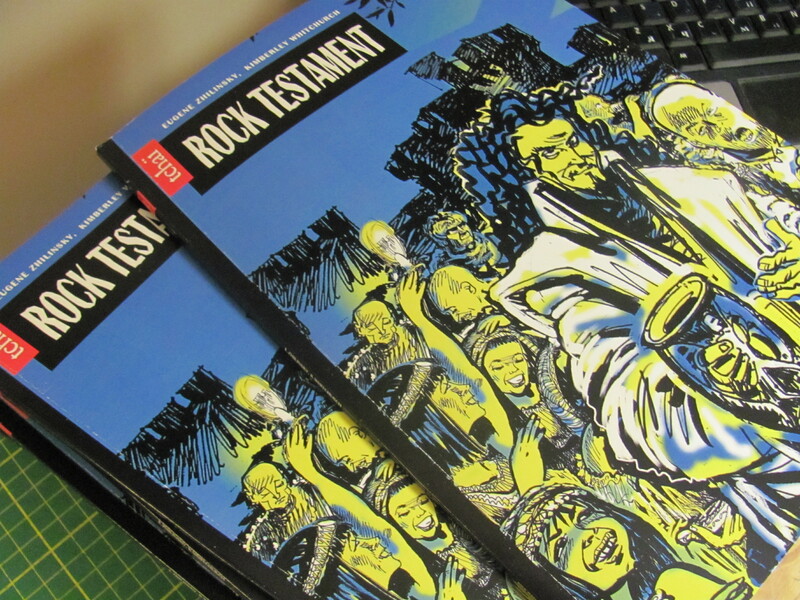 New book – it’s our new graphic novel “Rock Testament” just recently printed by Toronto’s Guerilla Printing. What’s that book about? Well… Option One: A country boy comes to the capital. Along the way he meets a group of talented musicians and becomes the leader of the band. He says he’ll make them famous, but it doesn’t seem to be working out. Option Three: It’s encyclopedia of wisdom, where every line is a quote. 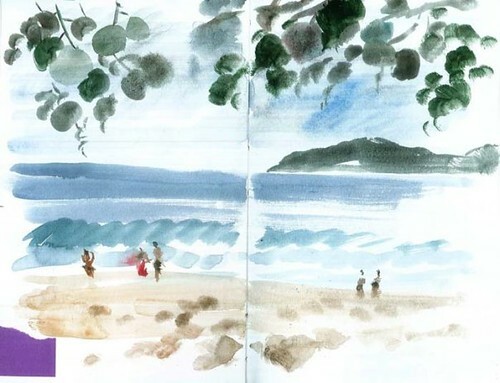 The book also contains travel sketches done in accordance of creating synopsis and plot. Eugene Zhilinsky – art and story, Kimberley Whitchurch – dialogue and editing. ISBN 978 – 0-9784952-7-5, English, 7.5″X11″, 52 pages. Full color cover with black & white interiors. 8.25″x 10.5″. Perfect binding, lamination. Back cover contains information about the authors. Printed in Canada by GUERILLA PRINTING.